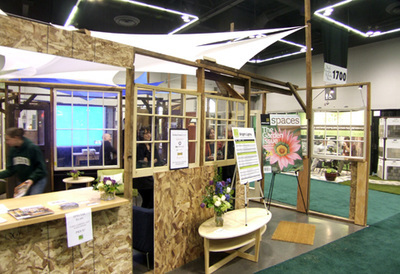 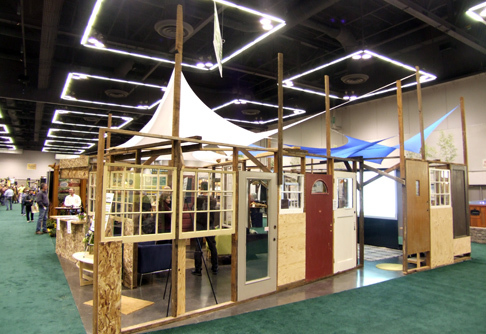 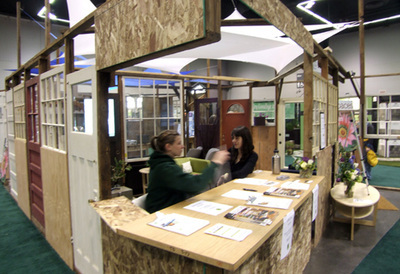 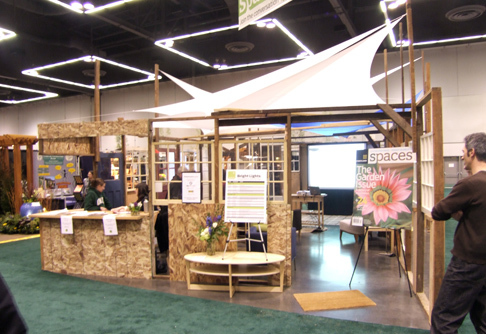 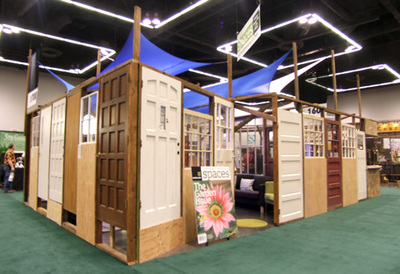 This booth was specially designed for the Oregon Garden and Better Living Convention. 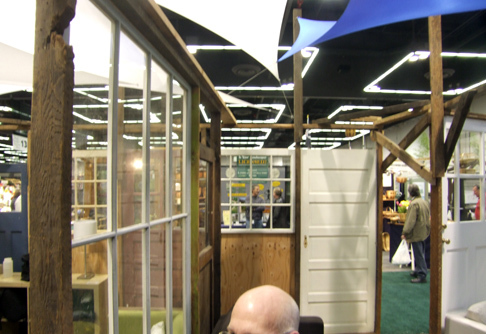 A 600 square foot "living room" is defined by a De Stijl pattern of reclaimed doors and windows. 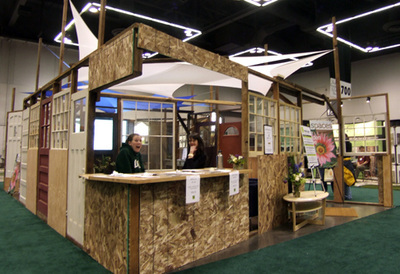 This freestanding booth will be used for outreach, promotions, and events that feature speakers of national renown.